“Drift” is the result of a fruitful collaboration between Kelly’s Heroes and Angénieux. “Drift” is a short film Kelly’s Heroes shot as a demo project to try out some of those new possibilities in aerial filming. Drone shots have been around for a while now, but the technology is growing and so are the drones. Bigger drones mean bigger payloads which result in a wider variety of different possible set-up’s. 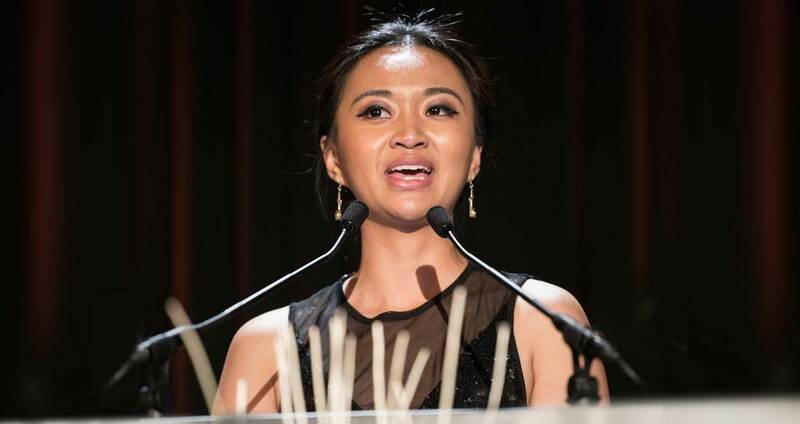 Kelly’s Heroes wanted to fly a set-up that allows us to do something new, something different. 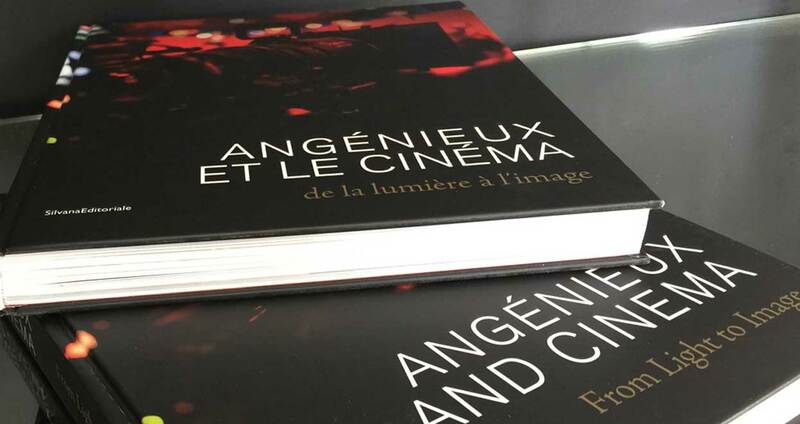 They came up with the idea to fly anamorphic zoom lenses and try some aerial retro zooms (travelling in, zoom out).”Drift” premiered at the AFC MicroSalon in Paris in February 2017. Frank Dewaele accepted to answer our questions. Who are Kelly’s Heroes ? 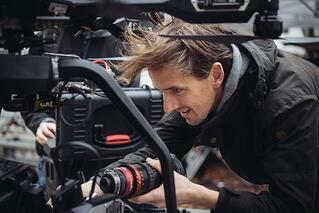 Kelly’s Heroes is a Brussels based camera-collective that specializes in documentary, corporate and advertising. Since last years legislation on flying drones came thru in Belgium we started an Aerial division. 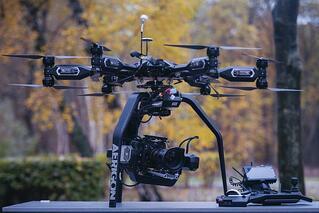 The challenge now is to test the new possibilities with high end drones in drama, action sports & multicam. With retrozooms you have the possibility to add drama to a shot. The spectator doesn’t necessarily see the effect but feels that something is changing which creates a special atmosphere. You feel that something is about to happen. 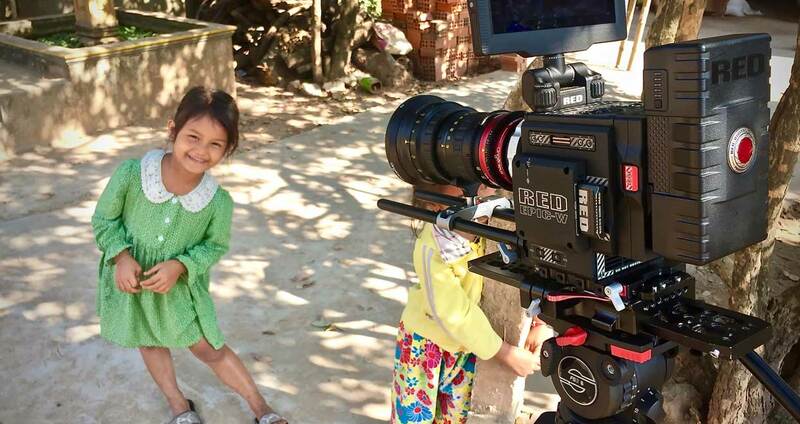 In our short there are 2 scenes shot at a small island on a lake where the two kids get together. In the first scene we fly around the island in a smooth traveling shot with beautiful autumn colors in the background. In the other scene, we have the exact same situation and location but this time we did a retro zoom towards the island in the other direction. In the synopsis I talked about Oscar who has to make a choice, a choice that will turn his world around. The retro zoom announces that point of no return. What did you choose for equipment on Drift ? We fly the Aerigon Drone by Intuitive Aerial that carries a 9Kg payload. So we started to put the puzzle together to find the right set-up within this weight. Set-up was the Arri Alexa Mini with the Angenieux Optimo Anamorphic 30-72 A2S and 56-152 A2S (5.3lbs/2.4kg and 4.8lbs/2.2kg), RT-motion Motors & Paralinx Tomahawk Transmitter. Is it risky for the equipment to use drones? There is a big difference in flying high-end drones and consumer/prosumer drones. Most of the consumer/prosumer drones have different ‘safety’ options programmed for when things go wrong during a flight (such as coming home etc…) and pilots flying these drones often rely on these options. Most crashes with drones happen when a pilot lets the drone decide what to do. That’s why most of the high end drones don’t use these options. They put the responsibility in the hands of the pilot. He is in charge of taking the right decisions. Knowing when to come home when batteries are down, never losing line of sight with the drone, making sure weather conditions are safe to fly etc.. Pilots flying these drones are trained and must succeed theoretical and practical exams before they become certified pilots. Camera-equipment can only be insured when flying a registered drone with a certified pilot. Are there different models of drones for high-end cinematography ? There’s a wide variety of brands and models on the market but for heavy payloads there is only a few. 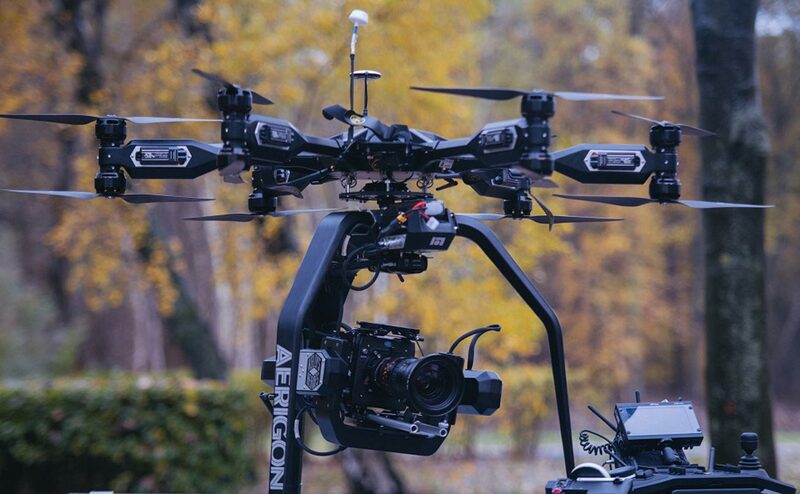 American brand Freefly is most known with its Alta8, then there is the Aerigon by the Swedish company called Intuitive Aerial, UK’s Shotover U1 and the Dutch Acecore NEO. What are your main criteria to choose your equipment on drones ? The set-up depends on the job. In drama this heavy payload allows us to stay close to the set-up that the DP uses. 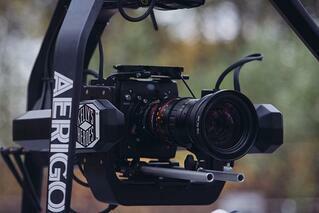 In combination with Alexa Mini/F55 or Red we can work with lenses around +-2kg. 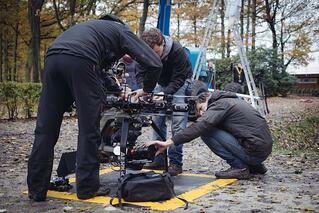 For action-sports we prefer a small and compact set-up with small primes for more dynamic shots and movements. Also, there’s a multicam set-up with a Grass Valley LDX with a standard or wide broadcast lens. Which camera / motorization / lens solutions did you find ? Why ? Intuitive Aerial developed a controller for the camera-operator (called dominion) that communicates with RT Motion lens control. There’s a joystick, focus ring and zoom knob on the controller that controls the gimbal and two lens-motors. This gives the camera operator full control over the movement of the camera (gimbal), zoom, focus (or iris) and start/stop. 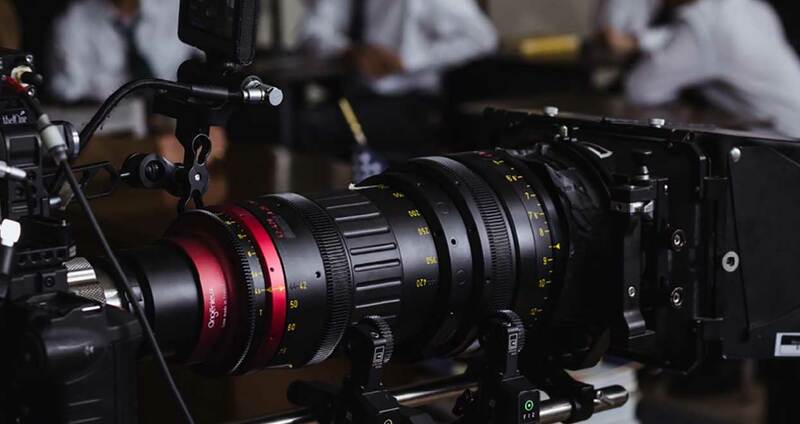 And what about our lenses , the two Angenieux anamorphic compact zooms Optimo 56-152 A2S / Optimo 30-72 A2S? How did they behave ? 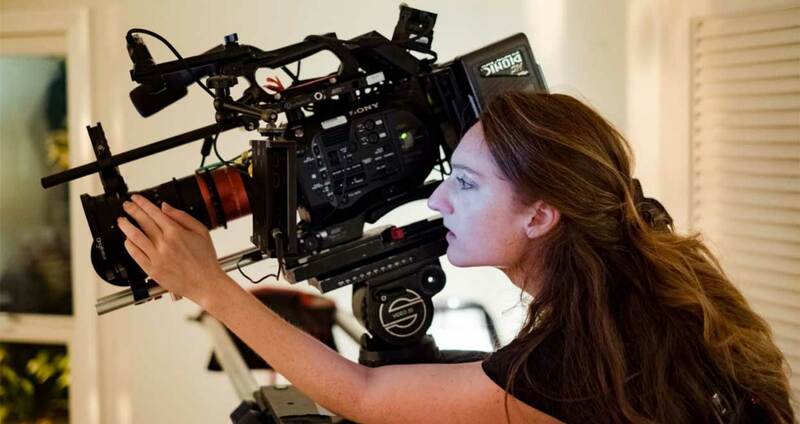 I believe both the anamorphic zooms as well as the spherical Optimo are a perfect match with the Alexa mini and the Aerigon. They’re just under the max payload (with 1 or 2 motors) and make a perfect balance on the gimbal. To be able to mount Anamorphic zoom lenses on a drone allowed us to take aerial filming to another level: shoot anamorphic Retrozooms. Being able to add that optical trick gives these shots so much more value and meaning. We were absolutely blown away by the result. The 30-72 also gave us some really nice wide scenery shots with very little distortion and a clean, sharp lovely image. Especially the scenes in the park with the warm autumn colors came out looking really nice! Flying the 56-152 we were surprised with the stability on long focals. We were able to keep a clean stable shot up till 100mm and I think with some fine-tuning and post stabilisation it’s possible to use the whole focal length of the lens. And last, the nice thing about having a zoom (whether it be anamorphic or spherical) up in the air is the possibility to change focal during the flight. Find the right position in the air and then being able to adjust the frame just how you want it. Or, also, being able to get your shot and do a second run on a closer or wider focal length during the same flight without landing, changing lenses and losing battery/flight time. How about the specific point of the use of the full aperture on the whole focal range? Most droneshots were shot with an aperture around 8 or higher to keep a large depth of field in the wide shots when subjects are at a certain distance. Since we were on a tight schedule and really focused on getting the retro-zoom effect right, we had little or no time to test long focals with shallow depth of field but that’s something we want to work on in the future. When shooting handheld I went looking for that shallow depth of field with close focus, fully open at 152 mm.. Love it! I’m convinced that these lightweight zooms (both Anamorphic and Spherical) are the perfect match with the Alexa Mini when it comes down to aerial filming for Drama or Advertising.